Make sure the room is set up so everyone in your audience can easily see you and the screen. If some chairs or tables need to be moved to make it easier for everyone to participate, do it. If anything is blocking access for people to see you, move it. When people are uncomfortable trying to see, it will negatively impact your presentation. I’ve seen key decision makers come late to meetings, and sit in the last seats open. It is awkward and disruptive if they ask other people in the front to switch with them, and negative for your message if they get frustrated and leave because they can’t hear or see whats going on. Make sure your computer is plugged in or fully charged. If you don’t need wifi during the presentation, shut it off. If wifi is necessary, connect to the network beforehand. Turn off all notifications, shutdown Skype and all IM services, and close any extraneous webpages. If you will be sharing your screen or desktop, make it clutter free. If using fancy technology, make sure you are comfortable with it, and it doesn’t take over. Don’t overuse the laser pointer. Simply put: eliminate any distractions that could interrupt or distract from your presentation. If your presentation is long and goes all day, or for a few days, consider breaking up the powerpoint to include video, a product demo, or a breakout session where people can talk. Play music before the presentation and during breaks to keep the energy level high. People generally have short attention spans, so jazz it up. I’ve noticed that most people’s attention begins to tap out around an hour of straight powerpoint. It is distracting and hard to focus when the presenter and the slideshow are out of synch. It also breaks the flow of the presentation if the attention shifts from the audience to the driver / computer / remote to move the slideshow forward. I generally prefer using a remote. Just make sure you are comfortable with the controls and don’t accidentally go to the beginning or end of the presentation when you just want to move one slide forward. Try not to spend too much time looking at your computer, or the presentation screen. Look at your audience. As Mark Suster writes in a great blog post onQuick Practical, Tactical Tips for Presentations: “Your goal is to work the room, look people in the eyes, judge people’s responses to your presentation and engage.” It’s difficult to effectively communicate your message if you aren’t engaging with your audience. The audience’s attention and eyes will instinctually go to the left and follow you. If you stand to the right, many people will be following the left side of the screen, and it will be harder for them to follow you. If you’re presenting in a culture that reads right to left, stand on the right side of the screen. When traveling, bring a remote so you can easily move around if the podium or docking station is in the wrong place. If you sit across the room from your screen, your audience will need to choose between looking at you and looking at the screen. They will spend a lot of unnecessary time whipping their head back and forth, and you won’t be able to naturally engage with them. If your audience is right handed, it will be easier for them to follow your presentation if you sit to their right. Similarly, when giving the presentation to a left handed person, sit on their left. Left handed people will naturally gravitate towards looking towards looking to their left. People are busy. Respect your audience’s time. 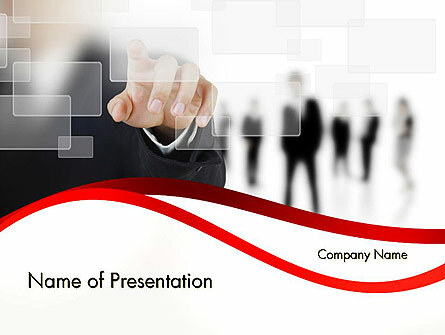 Start the presentation promptly, and plan to end a bit early. Watch your pacing throughout the presentation and make sure you aren’t spending too much time on any one point. By giving yourself a buffer, you’ll avoid rushing towards the end. If you have a few minutes left, let the audience know you will stick around if they have any follow up questions or comments. Don’t run late. Even finishing 5 minutes late can inconvenience your audience and leave people feeling rushed and anxious — not the feelings you want the audience to feel leaving your presentation. Always end on a high note.